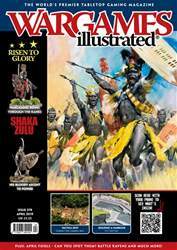 (0 Customer Reviews) | Write Review 12 issues per year Wargames Illustrated (affectionately known as WI) is the world’s leading and best selling magazine dedicated to the hobby of miniature wargaming. 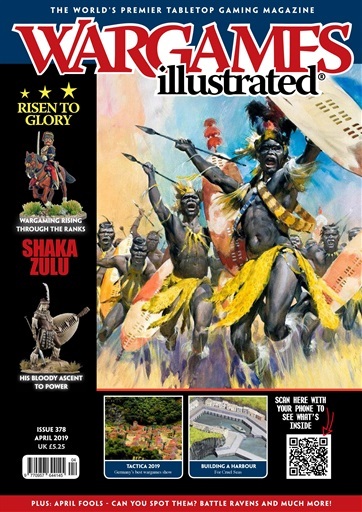 Each month WI feature news, views, reviews and over 100 pages of articles relating to the noble hobby of miniature wargaming – the pursuit of collecting, painting and gaming with miniature figurines (known variously as figures, miniatures, figs, minis or toy soldiers). Risen to Glory - This month’s theme is ‘Risen to Glory’ and we feature six articles that in turn feature historical characters who have risen through the ranks, or, in the case of my second article - see page 16 - discuss why in the British Army this process was helped if you had vast amounts of money. Sub Editor Wayne chips in with a further theme article that looks at wargames that make use of ‘in game progression’. Wargames Illustrated (affectionately known as WI) is the world’s leading and best selling magazine dedicated to the hobby of miniature wargaming. You'll receive 12 issues during a 1 year Wargames Illustrated magazine subscription. You'll receive 12 issues during a 1 year Wargames Illustrated magazine print subscription.